In the early 1980s, Machinex became the first company in Canada to design and manufacture machinery for material recycling facilities. The company immediately established itself as a leader in designing profitable, quality recycling sorting systems. Today, Machinex is still a world leader in the industry, developing cutting-edge sorting, waste management and recycling technology. Over the years, our experts have designed and installed over 350 turnkey facilities in partnership with leading MRFs in Canada, the United States, Europe and Oceania. Our mission is to provide our markets with the best leading edge recycling technology available. We are committed to the highest quality standards in our design and manufacturing processes. We offer our clients reliable, innovative recycling solutions at a competitive cost while operating our business in an environmentally responsible manner. Our senior staff, design team and technicians completely dedicate themselves to your project from the onset. Together, we can ensure quality control, from blue-prints to assembly. We make sure that your equipment works from day one, no ifs, ands, or buts. 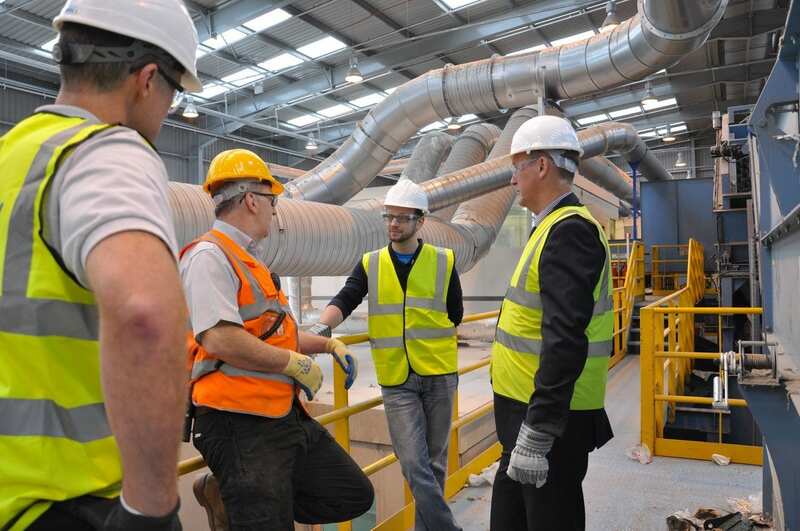 We follow-up on every one of our installations, meeting with you to discuss performance. Should problems arise, our sales and technical support networks are there to assist you. Machinex was first set up in 1970 in Plessisville, offering welding services, parts and equipment manufacturing for industrial and farming clienteles. In 1980, the company began to offer engineering services, project studies, equipment manufacturing and installation, always within the industrial and agricultural sectors. 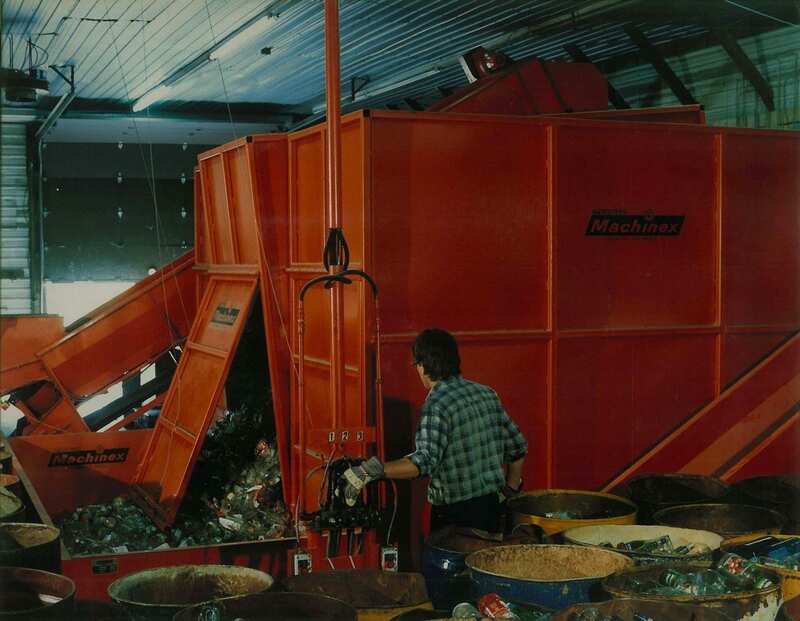 It’s in 1985 that Machinex made its mark in the recycling industry building a sorting center for recyclable materials in Victoriaville. An important turning point occurs for Machinex in 1989 when the company decided to fully dedicate its activities to the recycling industry. Machinex was confided the construction of the first sorting center for municipal collection in Canada for Laidlaw in Ontario. Machinex was going through an important economic boom in Canada and to better serve its customers in Ontario, the company opened a sales and service office in Toronto in 1995. This division of Machinex was named Machinex Recycling Services Inc. and it also has an office near Vancouver. Machinex’s first recycling sorting center, Victoriaville, QC, 1985. In the early 1990s, Machinex obtained its first contracts in the United States and created the Machinex Technologies Inc. division by opening an office in Chicago. The sales office in the United States is now located in High Point, North Carolina. The European division of Machinex, currently called MRS Europe Ltd., was created in 2009 after signing the first contract in England. Machinex opened a service office near Manchester in 2012 to better serve its European clientele. Today, Machinex is a world renowned leader in waste & recycling sorting technologies and continues to grow by developing new markets including European countries, Australia and Oceania.